After multiple attempts over several weeks to pass an amendment to Guatemala's 1996 Reconciliation Law, the Guatemalan Congress has backed off from legislating impunity -- for the moment. Genocide survivors and civil society roundly protested Bill 5377, known as the Amnesty Law, which could have freed dozens of former military convicted of crimes against humanity, while halting the investigation and prosecution of open cases. The removal of the Amnesty Law from Congress’ agenda is thanks to public protests and legal actions lead by survivor organizations. 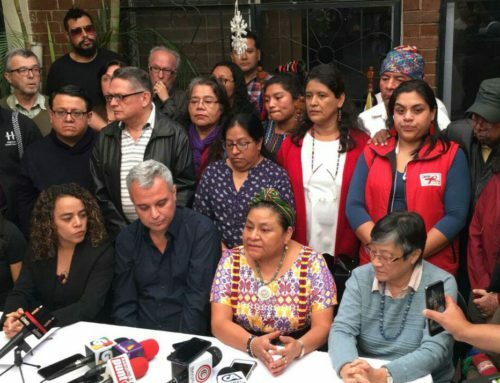 Survivors across the country held weeks of protests against the measure, while civil society organizations announced they would file injunctions against the law and take legal action against the members of Congress who passed it. The crisis came to a climax on March 13. Congress stood poised to pass the Law and in response survivors and human rights groups held protests outside the Congressional building for hours, demanded their representatives not pass the law. 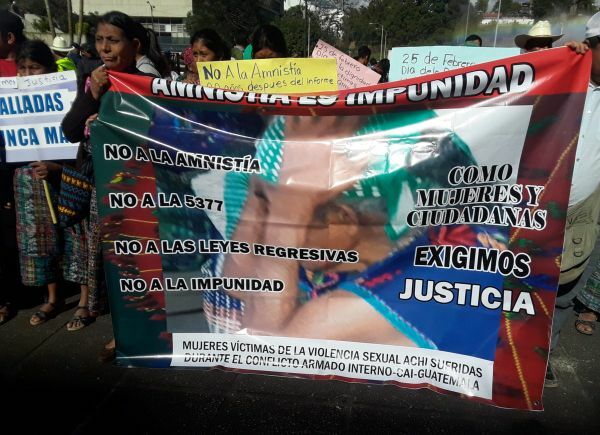 Representatives from the Association for Justice and Reconciliation (AJR) presented Congress with a resolution from the Inter-American Court of Human Rights, which had ordered the State of Guatemala to desist from pursuing the Amnesty Law on March 12. While the Amnesty Law has been removed from the Congressional agenda for the time being, the threat remains. Survivor groups monitoring the situation ask for the international community’s support in condemning the legislation. As Violeta Elias Osorio, a youth member of the AJR, explains: "It’s important for the international community to know about the Amnesty Law because it affects us Indigenous Peoples more than anyone. In the past there were many deaths, and we still don't even know where all the dead are. This shows that the state doesn't have the capacity to support our communities, and we need support from international law to stop this Amnesty Law." Indigenous authorities speak about sustainable stewardship of the land by Indigenous peoples and denounce the negative effects of extractivism. 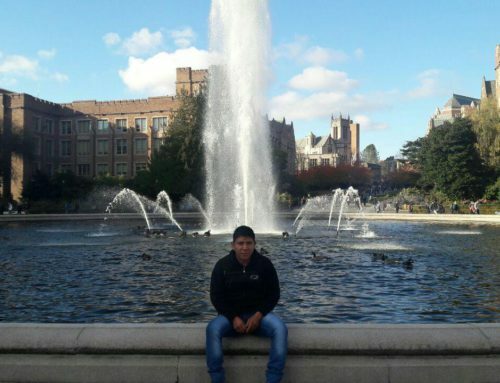 Photo credit: NISGUA. 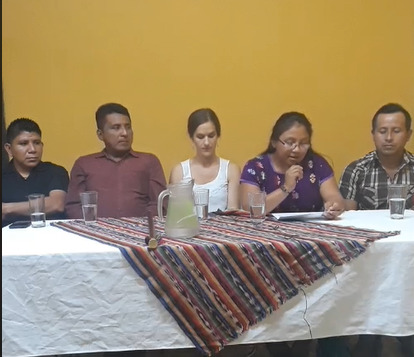 On March 20, ACODET leaders and Indigenous authorities from Ixcán, Cobán, and Uspantán traveled to Guatemala City to present a cross-border Indigenous statement signed by dozens of Indigenous organizations and peoples from Guatemala, the U.S., and Kenya. 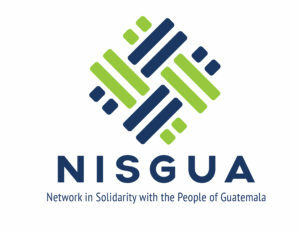 The Indigenous authorities presented the statement and an accompanying ally petition to the U.S. Embassy in Guatemala. That afternoon, the representatives held a press conference to highlight how communities have successfully used community consultations as a tool to organize their people to protect "their territories,... biodiversity and life from the greed of extractive corporations that put all living things at risk." They denounced Congressional and corporate efforts to co-opt this ancestral practice, in an attempt to take away consultations' legitimacy and power. The authorities, with support of Indigenous peoples from around the world, spoke out in defense of community consultations and Indigenous sovereignty. 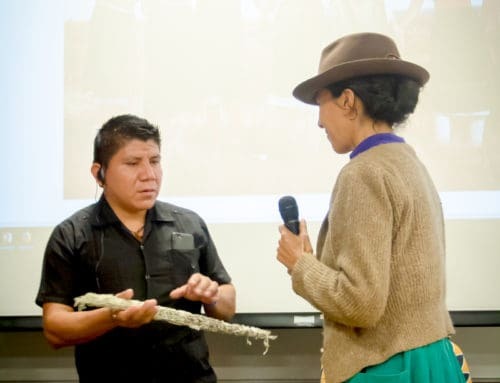 They named the importance of the solidarity of Indigenous peoples from other countries, saying when Indigenous peoples take action together, "they demonstrate to the Guatemalan government and international corporations that Indigenous peoples are weaving alliances across borders." We thank the hundreds of people who took action by signing the cross-border Indigenous statement and the accompanying ally petition! 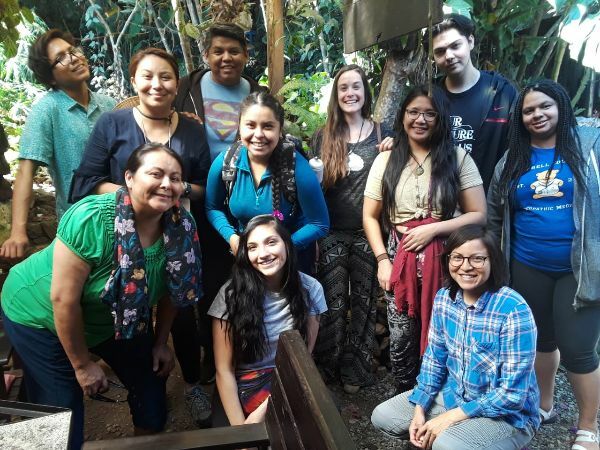 This month, NISGUA is partnering with New Mexico State University to host a week-long exchange between Indigenous undergraduate students and Mayan environmental justice defenders. The ten NMSU students are visiting with NISGUA partner organizations to learn more about 500 years of Indigenous resistance in Guatemala. They traveled to ACODET communities in the Chixoy and Copón Rivers watershed, where they are learning about grassroots organizing that builds community-level Indigenous leadership to defend ancestral territories against the imposition of the Xalalá mega hydroelectric dam. 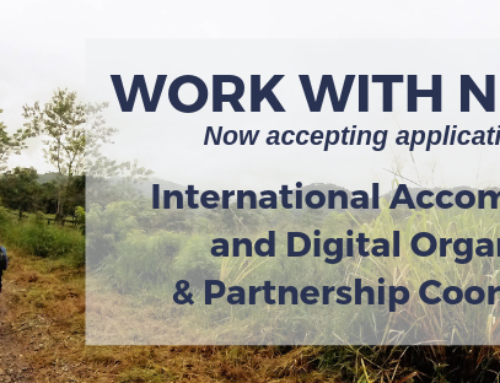 Delegates will also share their own people's struggles and see Indigenous leadership in practice, through agriculture, education, and ceremony. This delegation is the culmination of a year-long campaign focused on Indigenous organizing and sovereignty. "I am also determined to help defend and protect our environment and Indigenous sacred sites which is why I want to do this exchange. To see how our relatives to the south organize their people will give me a better grasp on how to organize our communities here in the states to fight for Indigenous land, water, and rights." 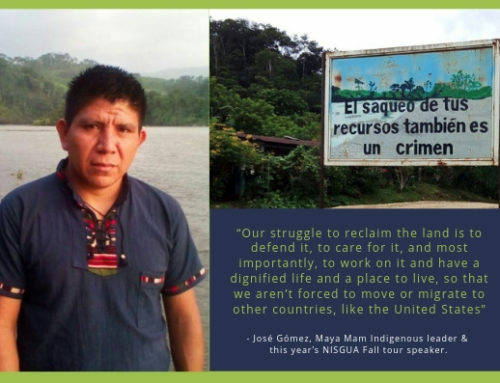 Make a donation to NISGUA today to help answer the calls of our partners for ongoing accompaniment support and advocacy on the long road to justice.